Portable garages are an amazing option when you need to store your vehicle. One of the largest investments you can make is your vehicle and it deserves to be housed out of the elements. 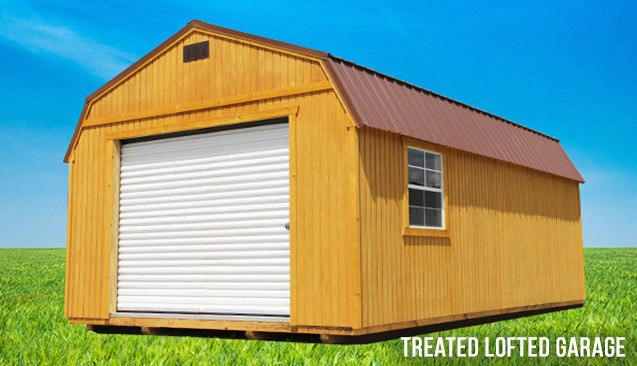 Our portable garages offer the protection for sun, wind, and rain that you vehicle deserves. 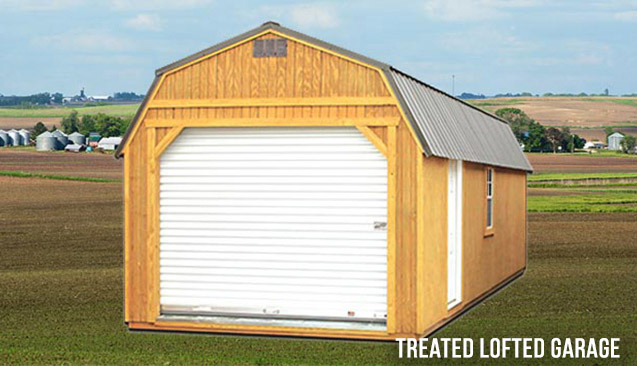 Our portable garages are broken into two categories: standard portable garage and a lofted portable garage. The primary difference between the two garages is the overhead space inside the garage. 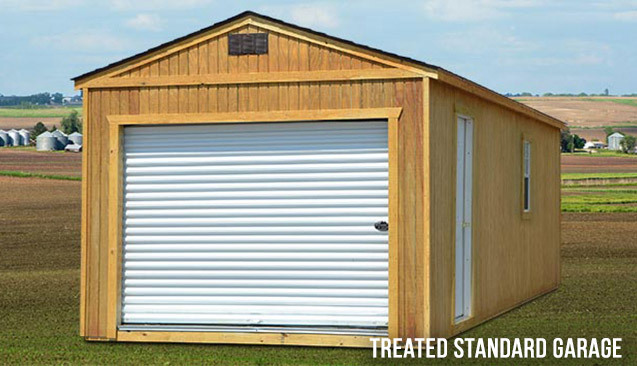 Our standard garges come with 8′ sidewalls while our lofted garages come with 6′ side walls. The lofted garage also comes with the ability to create additonal storage space in the lofted area. 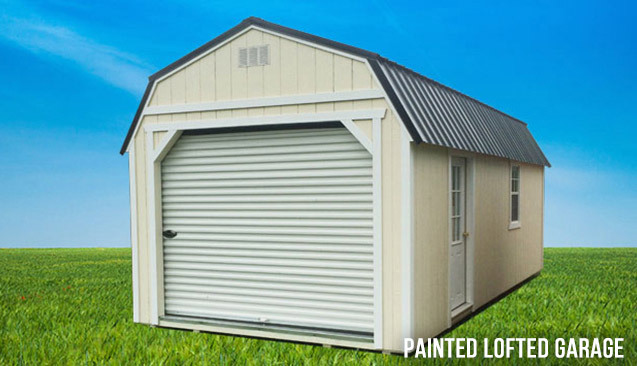 Both buildings can come in sizes on up to 14′ x 40′ offering TONS of room to store your vehicle and also work on it as well. Our garages also come standard with 12″ on center floor joists. Backyard Outfitters Inc. offers a Build-On-Site program for those situations where delivery is not an option, or a customer wants a customized solution. See your dealer for more information. Backyard Outfitters Inc. cannot paint or water seal on site buildings. Our low monthly rental rates are comparable to miniware housing rates. Our no-strings plan allows you to have your own storage facility at your home or business, when and where you need it. Backyard Outfitters, Inc. and its associates are not responsible for permits, covenant searches, restrictions, set backs, yard damage, or underground damage. Please contact your local Building Inspector or Homeowners Association for information. It is the customer’s responsibility to decide if ground conditions are unsuitable for delivery. Free Delivery covers one trip up to 30 miles one way, over 30 miles subject to a $2/mile (8ft and 10ft wide) or $3.50 /mile (12ft and 14ft wide) charge one way, and any additional trips may also incur charges to the customer. Free Setup includes leveling, starting with one corner at ground level, up to 3ft with customer supplied blocks, we can supply blocks for $2.00 each. Custom Orders require a Non-Refundable deposit to order, see dealer for details. Please Note: Not all products, materials and sizes are available in all areas. See your dealer for details. © 2017. Spring Hill Sheds • All Rights Reserved.